The adventurous family of four started a kayaking odyssey in 2014 from Copenhagen to Istanbul. Covering 7300 km over one and a half years. They are BODEKA friends and go on new travels around the world. In memory of Gallipoli wars Australian sea kayakers Michael Thomas and Jason Wilson paddled to Anzac Cove from Istanbul in 15-25 April 2015. BODEKA paddlers also paddled from Istanbul to Gallipoli in 17-24 April 2015. 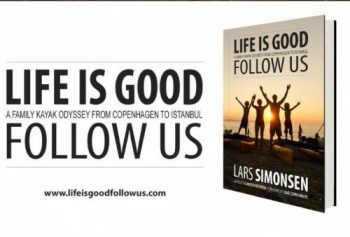 Louis Wilmotte & Douglas Couet set off in July 2013 from the Strait of Gibraltar and arrived to Istanbul in October 2014 by sea kayak. 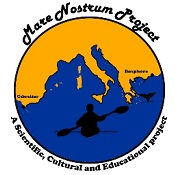 Throughout the Mare Nostrum Project, they aimed to raise awareness on this unique heritage, and also contribute in many ways to its protection. The Scientific Goals of the journey: Collecting Ostreopsis algae, a toxic phytoplankton in the Mediterranean, Acoustic study of the sound of habitat on the coasts: contamination by sound, Study of cetaceans in the Mediterranean. 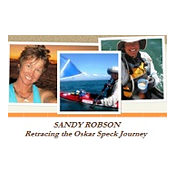 BODEKA friend expedition sea kayaker Sandy Robson is retracing the Oskar Speck epic journey. Here is Sandy's message: "Oskar Speck set out in a folding kayak on the Danube River in 1932. Seven years, several kayaks and many thousands of kilometres later, he landed in Australian waters. Inspired by what has to be the most amazing kayak journeys of all time, I am retracing the Speck route across the world in a kayak. This website is where you can follow my paddle strokes. Living simply out of a kayak, I have found out that there are many things in life that we can do without, but dreams are not one of those things. Funding a five year journey across the seas is an ambitious task in itself though, and I really need more sponsors to keep the expedition afloat. If you would like to help to make this dream a reality please donate a little to help keep the expedition going." 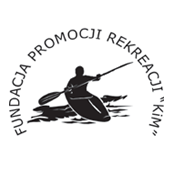 Foundation KiM of Poland and BODEKA of Turkey agreed on to establish a friendship of sea kayaking. We intend to develop intercultural exchange between members of KiM and BODEKA. Our mutual aim is to provide an international platform of cooperation between Polish and Turkish sea kayakers. We are interested in arranging expeditions and training sessions together with a broad participation of international sea kayaking community. Members of both clubs will benefit from special discounts and offers. 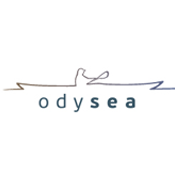 Odysea.gr kayak coach George Gazetas (BCU Level 2 Coach WE for Sea Kayak), will be in Istanbul 23 October-3 November 2014 for BCU 3 Star trainings for BODEKA kayakers. 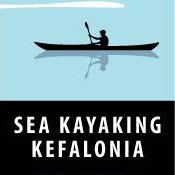 Sea Kayaking Kefalonia is a sea kayaking outfitter based in Kefalonia, the biggest of the Ionian islands, Greece. The founder, Pavlos Georgilas is a British Canoe Union (BCU) 5 Star, Level 4 Coach. BODEKA members joined one of his BCU 2-3 Star trainings and enjoyed the marvellous nature of the Kefalonian coasts and benefited from his coaching.